Prime Energy Group now offers our services using the best of the best in the SPF industry! Icynene has a solid line-up of products for every situation. Prime Energy Group has the experts on hand to find the right solution to each individual situation and ultimately provide the best benefits in the industry. To read more about the benefits, click here. Classic Max (LD-C-50-v2): This is an open-cell spray foam. 25 years in the making, Classic Max is the ultimate low-density solution. Click here to learn more about LD-C-50-v2. Classic (LD-C-50): This spray foam is guaranteed to provide the top performance from day 1 all the way through the life of the building. Click here to learn more about LD-C-50. 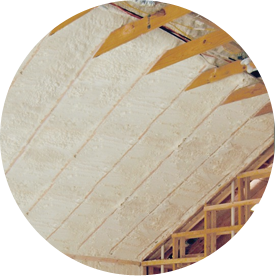 LD-R-50: Loaded with environmental and health-related advantages, this spray foam insulation not only insulates, but air seals the building for life. MD-C-200: A closed-cell spray foam, this is a one-step performance material. Built-in vapor retarder makes this air-impermeable! Click here to learn more about MD-C-200. MD-R-200: This medium density spray foam insulation is the ideal choice for those that want to go green! Higher R-value and strength than most open-cell products. 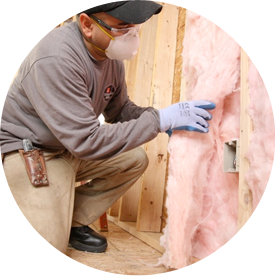 We’re happy to answer any questions you may have in regards to our spray foam services. We stand behind our products, and the relationships we build. Prime Energy Group services Raleigh, Charlotte and surrounding areas in North Carolina. Contact us today!